What is a Kosher Certification Agency? A kosher certification agency is an organization of Rabbis, food technologists, and field supervisors with the expertise and resources to execute the Laws of Kashrus. It is responsible for assuring Kosher consumers that food products and ingredients meet all kosher requirements. 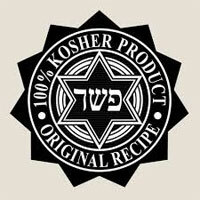 Once these requirements have been met, a letter of certification is issued to the manufacturer who is then authorized to advertise its kosher status, and display the kosher symbol and promote the product as kosher. All kosher certification agencies are not identical. It is essential that the kosher certification agency has widespread acceptability so that a product bearing its symbol can be marketed to as wide an audience as possible. The manufacturer can then take advantage of the rapidly growing demand for kosher food.